Nothing quite says romance like the rug form of Colonel Sanders sprawled flat across the floor. It's been another weird week in retail, but one full of love. KFC's latest merch release is something conceived from nightmares, holding hands with your S.O. just got a whole lot weirder and we've found some light reading to help everyone "Define The Relationship." Here are several things that will make this Valentine's Day unforgettable (no matter how hard you try to forget). KFC unveiled a bearskin-like rug with the head and limbs of founder Colonel Sanders. Because nothing says romance quite like having the literal face of a fast-food chain staring into your soul, right? In the spirit of Valentine's Day, KFC launched a contest with a prize consisting of the aforementioned rug, a set of two fried chicken-print pajama onesies, a gift card providing KFC for a year for two people and a yearly subscription to an online video streaming service, according to a company press release. The company's chief marketing officer, Andrea Zahumensky, released a very real statement about the announcement: "I'm no dating expert, but the only thing I can think of that's more romantic than eating fried chicken on Valentine's Day, is eating fried chicken on a faux bearskin rug created in the likeness of the greatest chicken salesman of all time – Colonel Sanders." But if the rug (read: carcass) isn't your idea of a romance (is it anyone's?? ), other chains have gotten into the loving spirit in a slightly more appropriate way. 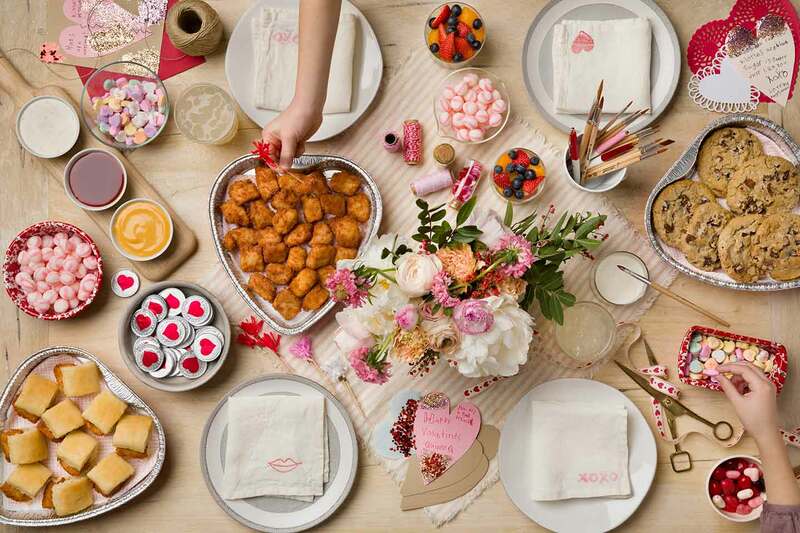 Chick-fil-A will package nuggets, Chick-n-Minis or cookies in a heart-shaped box, Bojangles will sell heart-shaped Bo-Berry Biscuits and California Pizza Kitchen will make heart-shaped pizzas for the special day. So for anyone looking to fast food chains for love advice this year, we'd recommend the path that says, "I know you love chicken nuggets more than me," rather than one that implies, "I killed the mascot of a fast food chain and brought you his skin." A two-person mitten is being sold on Wanelo and we officially hate the human race. There are clingy couples that can't stand one moment away from each other — but this is a whole other level of crazy. This solves a problem absolutely no one has. 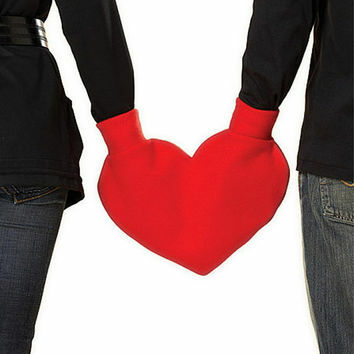 The product aims to keep hands warm without ever having to let go of your partner because apparently couples can't wear their own individual gloves and still hold hands?? While this isn't quite as bad as handcuffing yourself to your significant other, it's not that far off. We can only hope this is intended to be a gag gift that will never see the light of day. Between working a full-time job, balancing a social life (aka: deciding what to watch next on Netflix. "Tidying up With Marie Kondo" or "Russian Doll??") and trying to remember to consume food and water, dating can be hard. And confusing! And a total headache! 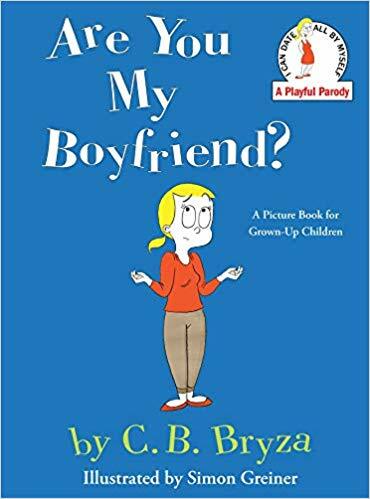 But, this book titled "Are You My Boyfriend?" which parodies a children's story and is just as comforting, can help us get through it all. 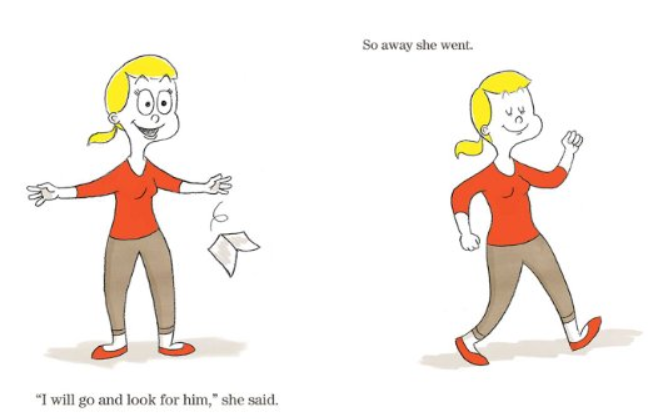 In what is probably the most relatable book to exist, C.B. Bryza provides a look into modern dating through cute pictures and a witty story, which reminds everyone that the best way to find a boyfriend is to naively ask strangers for help. 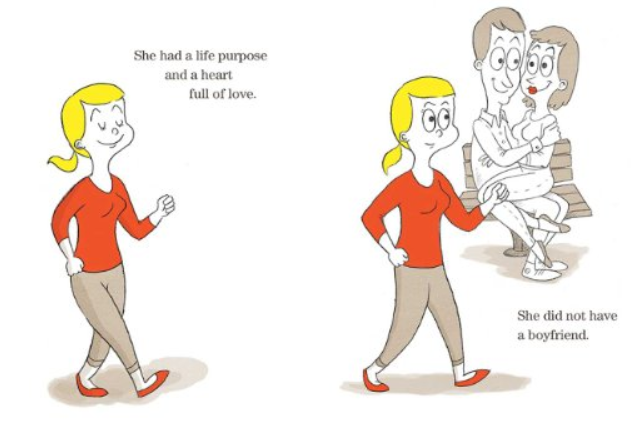 If only every problem we faced in life could be accompanied by a picture book to console us. There are few duos more iconic than candy and Valentine's Day. 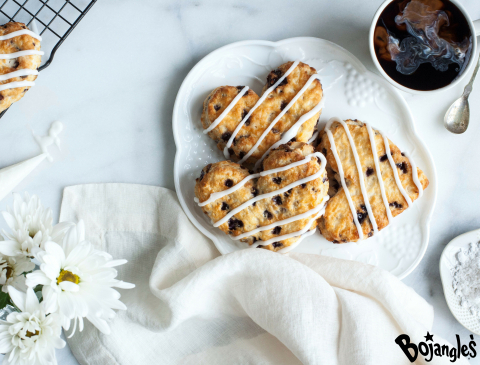 And this year, sweets are taking on a whole new meaning. Mars Wrigley, the company behind favorites like M&Ms and Dove chocolates, is giving customers another way to indulge with its pop-up candy-inspired salon Sweet ReTREAT. Although the New York City pop-up will only be open Feb. 13 to Feb. 14, it will offer several sweet services: a makeup touch-up bar inspired by Mars' treats; manicures with colors inspired by Skittles; a blowout, braid and beard bar with the "essence of favorites like Altoids® mints and HUBBA BUBBA® bubble gum" (? ); and a minty-scented lounge for massages. 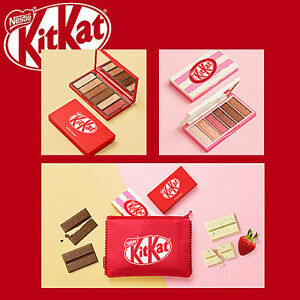 But where one goes, another follows, and last week Etude House launched a Kit Kat-inspired makeup pallet that's sure to put users in the sweetest mood before date night. But if traditional candy is the only thing to satisfy all of the sweet tooths out there, don't fret. We've found a couple of the best options out there. 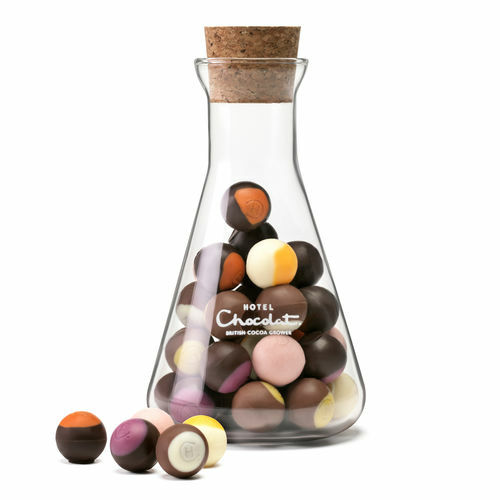 Like these boozy Love Potion candies from Hotel Chocolat, which recognizes that chocolate and alcohol are the only ways to get through consumerist holidays. 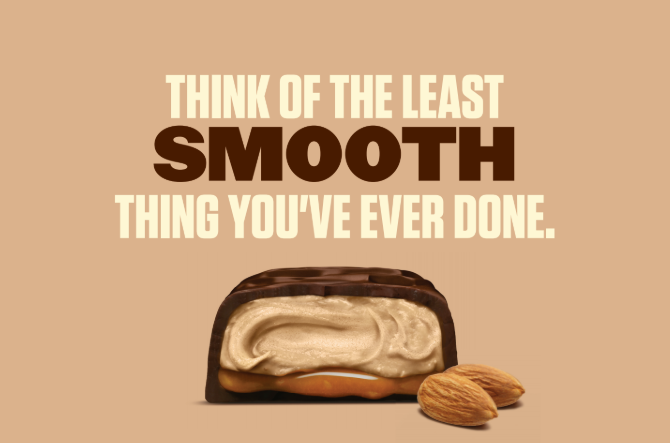 Not everyone has the softest touch, though, and in anticipation of the fools we'll inevitably make of ourselves this holiday, Snickers has prepped its post-Valentine's Day ad campaign: #SmoothItOver. Imagine, for example, someone bought their significant other a faux fur rug of, say, Colonel Sanders. Well, someone has to be there to help us put the pieces back together. Many people think Valentine's Day is only about giving the ones you love some extra attention, but we disagree. We like to use this holiday to acknowledge those who have done us wrong as well. And, boy, have we found the perfect gift. The El Paso Zoo in Texas is giving people the opportunity to name cockroaches after their exes. And if that isn't enough, the zoo will livestream workers feeding said cockroaches to a "meerkat mob." Incredible.